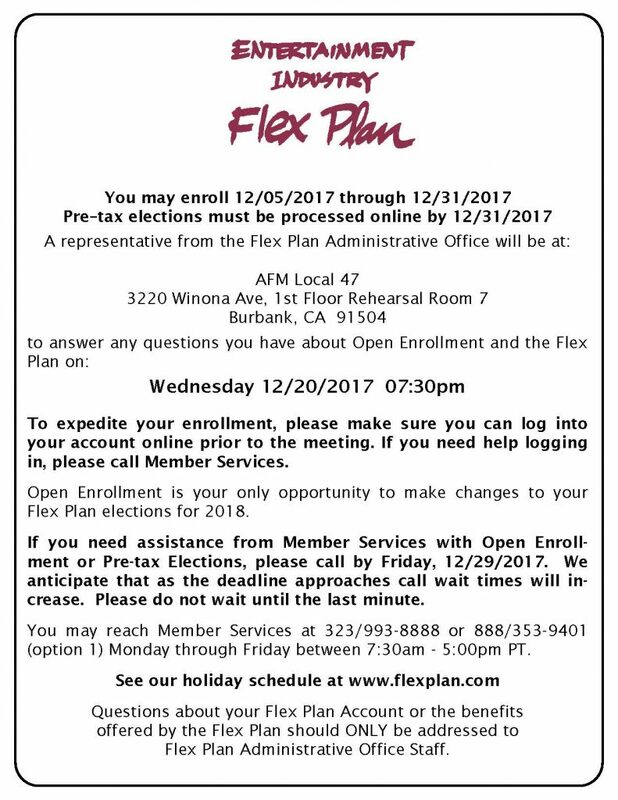 This entry was posted in All News, Events and tagged Entertainment Industry Flex Plan, Flex Plan on December 12, 2017 by admin. Download the full Open Enrollment Memo here. 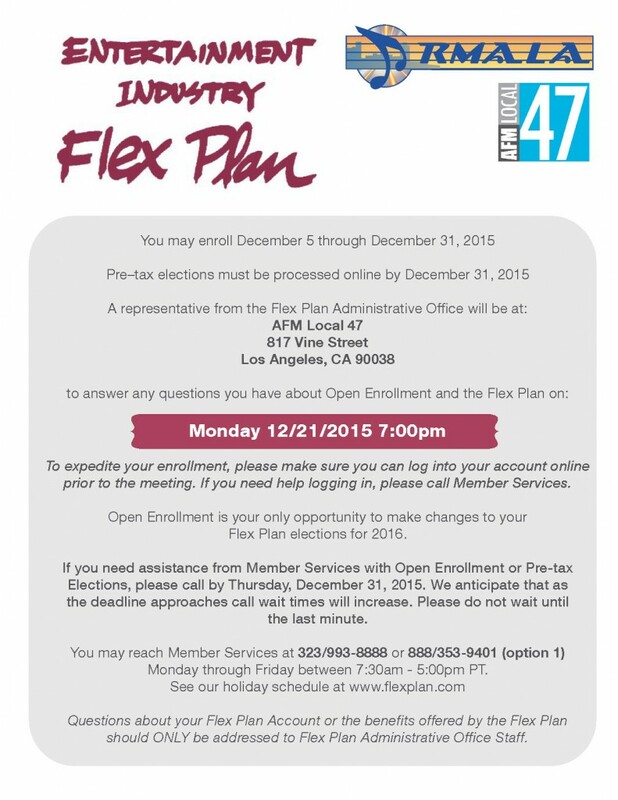 This entry was posted in All News and tagged Entertainment Industry Flex Plan, Flex Plan on December 7, 2016 by admin. 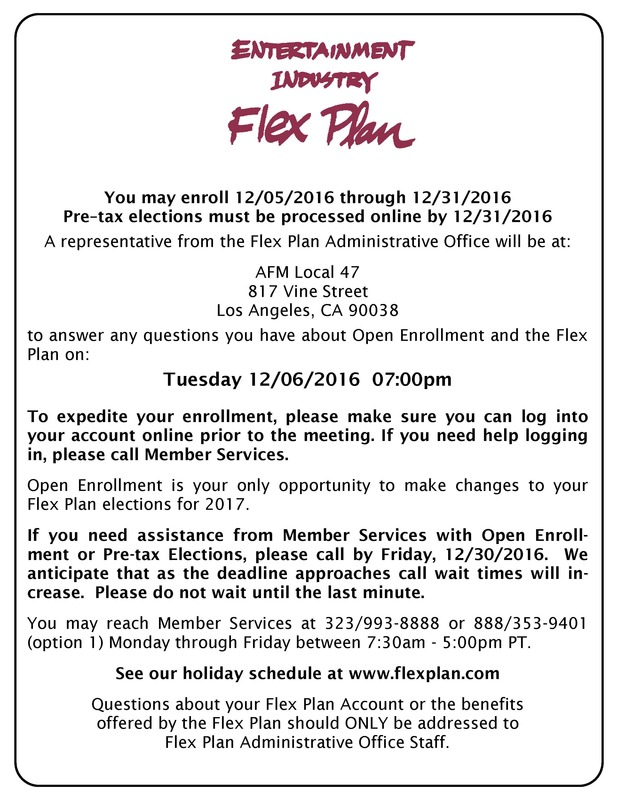 This entry was posted in All News, Events and tagged Entertainment Industry Flex Plan, Flex Plan on November 30, 2016 by admin. This entry was posted in All News, Events and tagged Entertainment Industry Flex Plan, Flex Plan, RMALA on December 9, 2015 by admin.